The mother sea turtle struggles to shore to lay her eggs. A typical clutch includes anywhere from 50–350 eggs, which the mother hides under the sand. Her sole contribution to their future complete, she swims away. They incubate underground for 50-60 days. Then just at dusk, the tiny sea turtle hatchlings emerge and struggle their way to the waiting sea and surf. Well they try to get to the sea. Most of them don’t make it. Predators are always lurking in the shadows to pluck up these movable hors d’oeuvres. Sea gulls, crabs, small fish – all are waiting to enjoy a meal of fresh baby sea turtle. It’s estimated that only 1 in 1,000 hatchlings survive into adulthood. Is that really the model we should be using for our public schools? Because – make no mistake – it is exactly the kind of thing the market-driven model of education is based on. The idea goes something like this: schools should be run like a business. Parents and students should choose between educational institutions, which would then compete for their budget allotments. Some schools would thrive but most would fail – just like in business, athletics or other competitive pursuits. And while these fledgling schools struggle to make ends meet, predators will be waiting in the wings to benefit from their failure and perfidy. To be fair, it’s a model that works well in many circumstances. In business, it ensures that only the best enterprises stay open. In sports, it translates to athletes striving to give there all to prove superiority over competitors. But if we look at it through clear eyes, it’s obvious that this is really just the same as baby sea turtles struggling to get to the ocean. Many will compete. Few will win. That’s a terrible way to run a school. Think about it. We don’t want only our best students to get an education. Nor do we want only our best schools to provide one. We want all schools to provide the best education possible to the highest number possible. Clearly some schools will be better than others. That can’t be helped. However, we can maximize the quality of the education each provides. We can ensure that none fail. That isn’t what the market-driven approach does. It forces schools to compete for their very existence. They have to spend a considerable amount of time and money attracting students to enroll. That’s time and money that doesn’t go to education. It goes to advertising. Moreover, any school that attracts a surplus of students can choose which ones its wants to enroll. The choice becomes the school’s – not the parents’ or students’. 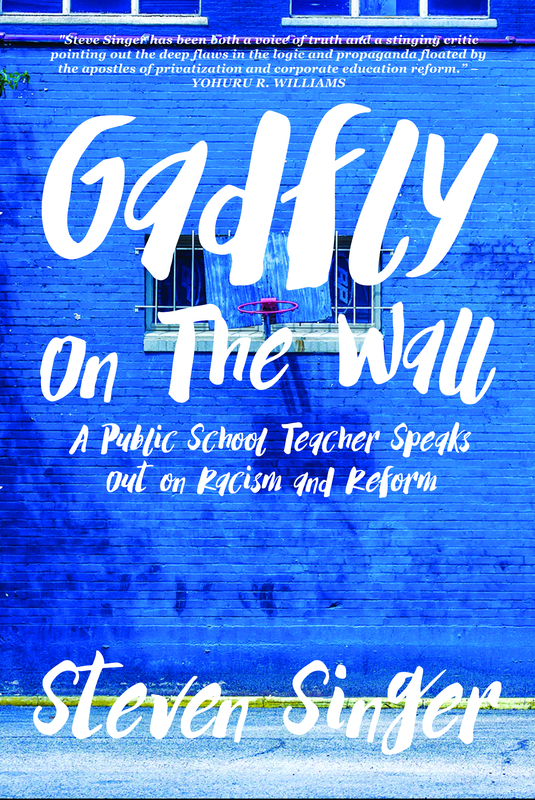 In fact, administrators can turn away students for any reason – race, religion, behavior, special needs, how difficult it would be to teach him or her. This is much different from traditional public schools. There, any student who lives in the district may attend regardless of factors such as how easy or difficult he or she is to educate. Another major change with this approach is how these schools will be run. Many of these institutions will be operated privately without the input of a duly-elected school board, without transparency for how they spend tax dollars, without even the guide rails of most regulations. Like in the charter school sector, these schools will get almost free reign to do whatever they want. And we can see the results of this bold experiment already. The predators are lining up to make a meal of their students. Corporate interests offer to run charter schools while cutting services and increasing profits. In fact, administrative costs at charter schools are much higher than at traditional public schools. Students lose, the market wins. Moreover, many charter schools provide a sub-par education. To put it more bluntly, they do things that would be impossible for public schools to do. One in Philadelphia literally transformed into a nightclub after dark. Another funneled profits into the CEO’s personal bank account to be used as a slush fund to buy gifts and pay for rent at an apartment for his girlfriend. Another CEO used tax dollars to buy a yacht cheekily called “Fishin’ 4 Schools.” A study found that cyber-charters provide almost less education than not going to school at all. Even brick and mortar charter schools can close on a moments notice leaving students in the lurch. It’s a Darwinian model made to benefit the predators, not the prey. It’s a boon for any unselfconscious businessman who doesn’t mind getting rich stealing an education from children. By contrast, our traditional public schools are modeled after something else entirely. Instead of offering various kinds of school competing with each other, they provide one basic type that is shielded from predation. In short, public schools are modeled after primate childcare practices – not the egg-laying habits of reptiles. Primates usually have a very limited number of offspring per pregnancy – often just one. Unlike sea turtles, they don’t just lay their eggs and leave their offspring to their own devices. Primates provide excellent care and nurture for their child making sure it is safe from those that would hurt it. This is exactly what public schools do. They provide one basic kind of school. The public gathers twice a month with an elected school board to decide how the school should be run. Most functions of the school are open to public view as are expenditures, documents, etc. And there are regulations that stop the most extreme practices that put students at risk. Public schools aren’t perfect. Neither are primate parents. But the model is child-centered where the goal is all about what’s best for the next generation – every member of that generation. In short, the entire debate about school choice really has little to do with choosing this or that school. It’s about choosing a style of education – public or private, primate or reptilian, one that favors prey or predator. Deep down, the public knows this. That’s why school vouchers have never passed a public referendum despite obscene spending from advocates. That’s why the money behind school choice is almost entirely from the same would-be predators who would benefit from opening our tax dollars and our children to such harm. The media churns out the myth of failing schools and this has had a damaging effect on public perception of public education in general. However, when you ask people about their neighborhood school, opinion is generally high. People like their schools the way they are. Ninety percent of American students attend public school and that’s just the way we like it. We aren’t about to take a chance on a system that instinctually reminds us of neglect. For school choice advocates, it really comes down to ideology. They hate anything public. They hate government in all its forms and wish for the freedom to do as they wish. They wish for the freedom to be a predator – a predator of children. I’m almost totally with you on this, but I do not agree that today’s business model “ensures that only the best enterprises stay open.” It ensures that the best FUNDED businesses stay open. Only the rich and very lucky survive the need for considerable start-up capital today. * For business seeking venture capital, that’s a matter of the luck of timing or connections. * For businesses that are forced to bootstrap, that’s a matter of beating the predators to the sea of success, no matter HOW good the business models and practices of either one. * For businesses experiencing a temporary downturn due to circumstances beyond their control – like formerly thriving family farms whose crops were destroyed by a hurricane, for example – it’s a matter of being able to secure bridge loans. Anybody who thinks that process is equitable is naive. “Just business” is indeed a predator/prey model that has NO business being used in an educational setting. I’m not even a fan of the idea of the bell curve, I believe so strongly that ALL kids need to be mentored to success. Good post. With the 1% now in charge of the country, however, I fear that corporate capitalists will finally be able to do what they have tried and failed to do many times before – turn our schools into cash cows to line their personal pockets. God help America when it becomes clear to the minority who were home-schooled that our “educational” system has created an entire generation of citizens who are essentially uneducated and unable, in the main, to participate on the world stage. What kind of unfortunate decisions will THEY make for the rest of us? This guy writing on Inc.com explains why 96-percent of businesses fail within 10 years. If that holds true, then every decade, the U.S. would have a new crop of schools except for the 4 percent that survived the previous 10 years. The title tells readers all they need to know about the contents of this crackpot diatribe. As a heads-up, in the real world, when it comes to schools, students are the human clay, the raw material, and its graduates are the improved, value-added product. There is no eating of the young, as the title implies. Those of us who operate in the real world know that schools — public and private — exist to educate all types of students — the gifted, the average, the disabled, the talented, the difficult, non-English speakers and others. There are schools for every kind of student. NY City has had great success skimming the cream off the top. The gifted program, open to every student who scores high enough on the entrance test, funnels kids into a separate program that begins in kindergarten and leads to acceptance at the city’s top high schools — high schools that require entrance exams. About 7 percent of students are accepted into the gifted program. The student population in NY City is 15 percent Asian, 15 percent white, 40 percent Hispanic and 30 percent black. But at the city’s top high school — Stuyvesant — the student body is 75 percent Asian. At the city’s other competitive high schools Asians fill for no less than 50 percent of the seats. Blacks and Hispanics are almost absent from these schools. Why? Why? Because no school can overcome the social pathologies that rule the neighborhoods from which the students come. Many black and Hispanic students lack a home-life that would lead to academic achievement. And — because many city public schools are run and staffed by people who prove, year after year, that they cannot inspire students to learn. NY City makes the performance of every school available to the public. If you want to know how much kids know about math and English at a specific school, the results of standardized tests are available online — for every school in the city. Here’s a fact. Many parents — those who care — are appalled at the results. They want charter schools. Who are these parents? Mostly black and Hispanic parents. For schools serving kindergarten through 5th grade in primarily white/Asian neighborhoods, the parents are not outraged. But those parents take the steps to have their kids tested for the gifted program. So. In the end, each school, each teacher, attempts to shape the human clay that enters the classrooms and sits at the desks. In the public school sector, when those teachers and administrators fail, it takes years and years to make changes. But even when changes are made, there is little to suggest that the changes will improve the outcomes. It’s not that way at charter schools. Schools are judged by their graduates, and by the assessments of education consultants — as charter schools are. Poor performance is quickly noted. Steps are taken. The school improves in a hurry, or it goes away. But the students are not eaten, ignored or forgotten. On the other hand, bad public schools languish for years. But good public schools retain the good will of everyone who matters. The motivating force is competition, which the new Education Secretary will promote. More competition improves education — in every category. SB, I respectfully disagree. Students are not clay. they are not raw material. They are not things to be acted upon. They are human beings. They are ends in themselves. This idea that we get to do whatever we want with them to fit them into some prearranged mold is outdated and immoral. The fact of the matter is that most new businesses fail. If we then treat schools as businesses, most will fail. That is unacceptable as a built in component of your schools model. You cannot plan to educate kids by ensuring that most of their schools will fail. It is putting the administrators of schools at a higher value than the children who attend them. The fact of the matter is that, on the whole, charter schools are not better than public schools. Neither are voucher schools. At best, they are no better, of similar quality. At worst, they are much worse. They are less transparent. They are run less democratically. They are easier to manipulate. They are a terrible risk to take on our children. Heck! They’re a terrible risk just for our tax dollars! Moreover, I must admit I am a bit concerned by your attitude toward minority parents. You talk about the “social pathologies” of certain neighborhoods. That sounds an awful lot like eugenics. You blame minority parents not for caring enough about their kids on the one hand and then praise them for caring enough to send their kids to charter schools!? Make up your mind. Yes, some send their kids to charter schools. But that’s only because they are marketed, they are sold on those schools. I find it troubling that there is an industry trying to say that certain schools are good for black kids and others are good for white kids. It’s just “Separate but Equal” sold as a positive. It’s segregation and a violation of civil rights sold as a positive. As to advanced classes, almost every school has those. If they don’t, they should be funded to include them. In any case, market driven reforms do not provide the same kind of reliable outcomes for students as public schools do if those schools are properly funded and free from overt federal influence and unfunded mandates. I have proof to back that up in several articles on this site. You just have ideology. It worries me that you can’t see that. Perhaps an analogy to a seedling would be better. The seedling needs the right conditions to grow, but each seedling needs different conditions to thrive. Different amounts of water, different amounts of sunshine, different temperatures, different soils. Treat an orchid like winter wheat and the orchid will not thrive. Treat winter wheat like an orchid and the winter wheat will not thrive. Half the difference and and neither will thrive. I am curious about your position on the unfunded federal mandate currently being discussed in SCOTUS in the case Endrew F v Douglas County School Board. The IDEA act, which requires public schools to provide “a free appropriate public education” to students with disabilities is surely the single largest unfunded mandate that the federal government has imposed on public schools. Are you in favor of schools being freed from this unfunded federal mandate or do you want to pick and choose which unfunded federal mandates are good and which are bad? I would be in favor of the latter. As an public school teacher in the inner city, I can tell you there is indeed “eating of the young” and it comes in the form of privatizers looking to capture tax dollars that are allocated for kids in classrooms. Charter schools are a diabolical form of privatization because it appeals to the selfish side of parents, promising benefits for their child, as long as they agree to chip away and swipe resources from the larger system. I’ve been teaching almost 10 years but I ran my own business for the 17 years before that. So I see the differences and I can tell you that running schools like business is a mistake. We want businesses to compete and have winners and losers, but we don’t want ANY schools or students to lose. In business, it’s great to have a killer product and then gouge people for it, but in learning, successes should be scaled to improve the whole society. That’s why charters were invented, that was the original bargain. Instead, charters have become the parasite that only helps itself. So we need proven practices, judicious decision making and experienced leaders guiding them. In recent decades, we have had the opposite – a litany of ed reform experiments, using live children as guinea pigs. Opening new schools by cherrypicking the more motivated families in the neighborhood was a guarantee of a success/failure narrative because we deliberately segregate students by parent involvement. But the US constitution promises equality and equity, not a scramble for resources, not a competition of the smartest or luckiest, or who has the most involved parents. Our schools should be able to take any kid from any state and turn them into the next Bill Gates. But they don’t, because ed reform has turned public schools into testing factories, with politicians and media convinced that bubble test scores in two subjects sufficiently determine the quality of learning going on. This, we now see was merely a federal unconstitutional power grab, facilitated by both parties. Yes, the home circumstances chiefly determine academic outcomes. On this we agree. Some parents read to their kids while others don’t. Some homes don’t have any parents there. But it’s not the teachers who fail to inspire kids to learn, we have to “entertain” them every single day. There are no short cuts or cop outs. it’s the negative attitude toward authority and education within the family and the community, and it’s a natural resistance to corporate, high stakes testing. Trust me, I’m an art teacher so I know more than anyone about inspiring and engaging students, particularly in high need populations. We can get kids to learn, but we cannot get them to reach age-based Math/ELA benchmarks set for affluent kids in the suburbs who have nutritious meals, quiet places to study and two college educated parents. We cannot provide the clinical or counseling services needed to overcome learning obstacles and we cannot make the disruptive kids disappear. Thus, it was always a ruse looking at teachers as cause or cure for the problem of the dysfunctional home or massive urban unemployment, or high crime, or teen pregnancy. Teachers were asked to compensate for decades of deindustrialization, massive income disparity and digital techno-overload all at once. In my school, we struggle to hire good teachers because our low test scores scare them away – this illustrates how the high stakes testing system labels and punishes. But our school only enrolls overaged, undercredited youth, meaning our mission to help the most struggling kids is actually made harder because people are judging us only by test scores and are missing the most important information – who we are, what we do. Oh and here’s a secret the public probably doesn’t know about charter school teachers – they come from the same pool as public school teachers. I get an email every few weeks telling me Success Academy is looking to hire teachers just like me. You know why? Because after a few years in a charter school, the teachers realize they are working longer hours for less pay which discourages them from having families of their own. Should the teaching career be sustainable to attract and retain the best? Apparently charters think not, but then, that’s always been their secret sauce anyway – it’s not that that they know more about teaching, it’s that they cut out the disruptive kids so they can enforce strict discipline, they work more hours, and really concentrate on prepping for tests. Teaching Economist, I’m going to stick with my analogy. It captures an important point about who education is for – students or bankers. I say students. How about you? The analogy you mention is incredibly reductive. Have you ever been to a public school and seen how we differentiate? How we differentiate in the kinds of curriculum offered, the kinds of teachers available, the kinds of programs? How we differentiate within a single classroom. It is staggering what we are able to do with our meager resources. Imagine what we could do with adequate and sustainable funding. As to IDEA, how about the federal government funds it like they were supposed to from the beginning? What would you suggest, throwing special ed kids out? That’s the beauty of public school. When the politicians and the investors fail us, teachers still find a way to make the best of a bad situation. We accomplish amazing things for our students everyday. And we don’t give in to false choices. That’s because we know why schools exist – for students. They are an end to themselves. You ask if I have ever been to a public school. Of course I have. I have sent three children through public schools, two with IEPs. I have also paid tuition at the local university for classes for one child because of the inability of the high school to offer appropriate courses. My children have had the full range of teachers, from terrible to terrific. Federal funding of IDEA is not going to happen. Your clear position against unfunded federal mandates would seem to apply to IDEA as well as all other unfunded federal mandates. My position is that there are some good unfunded federal mandates and IDEA is one of those. If we left it up to those democratically elected local school boards I fear that special education would revert back to what it was before IDEA, at least in many places.